This foldable Bluetooth keyboard turns your foldable phone into a full laptop. A full-size qwerty-keyboard that can be folded after use, just like your phone. Compatible with the Samsung Galaxy Fold, Huawei Mate X and Royole Flexpai. 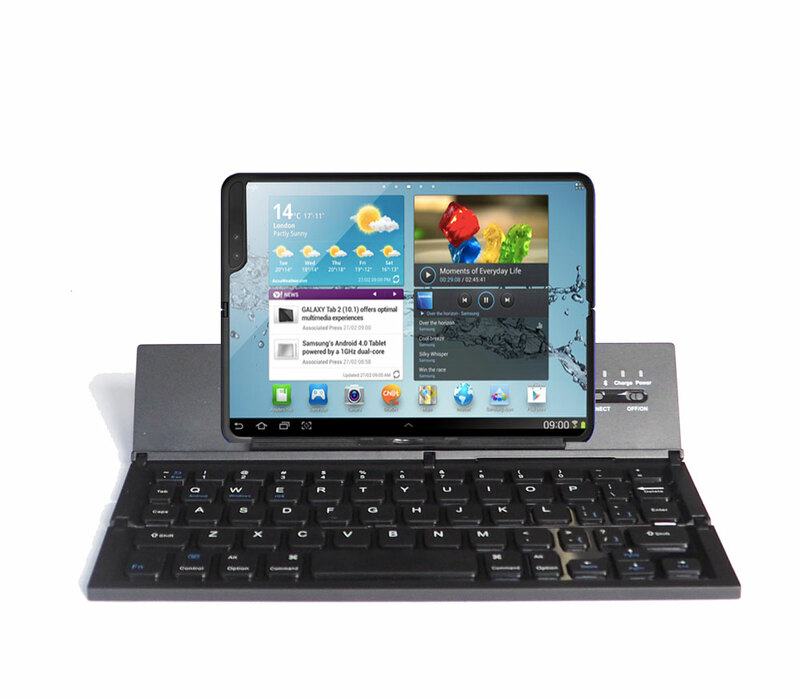 A foldable Bluetooth keyboard for the Samsung Galaxy Fold, Huawei Mate X and Royole Flexpai. Together, this combination turns the smartphones into an ultra-compact foldable laptop. The keyboard has a built-in kickstand, that can hold the unfolded smartphone. In unfolded state, it has a 9 inch, fullsize qwerty-keyboard, that can be combined with an 8 inch (Mate X) or 7.3 inch (Galaxy Fold) display. The keyboard folds horizontally from two sides, making it very compact and easy to carry. In folded state, it measures 9.25” in length, 2.15” wide and 0.72” height. It is rechargable with a USB-cable and will last more than a week on a full charge.